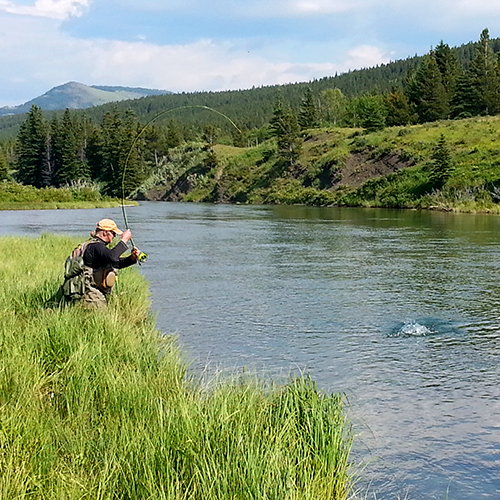 Walk and Wade or Float our spectacular trout waters with the experienced anglers of Alberta Flyfishing Adventures. We take our guiding seriously; determined to provide you with an exceptional day on the water. Whether you are new to the sport or a seasoned fisherman we offer the seclusion and guidance to ensure a memorable experience. Explore with us the vast river systems of South Western Alberta and South eastern British Columbia’s Rocky Mountain streams. 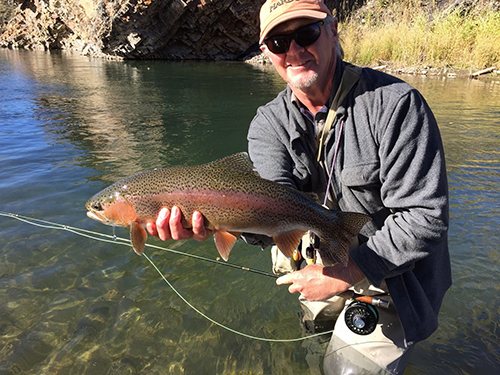 As a novice or learned fly fisherman our guides offer essential tips to improve your casting and fishing ability. Our “On Water” lessons include all equipment and the understanding of entomology, knot tying, casting and reading the water techniques. As a seasoned angler enjoy the solitude and challenges of casting to our Cutties, Browns, Rainbows and Bulls. Or try your hand at some fierce Pike! 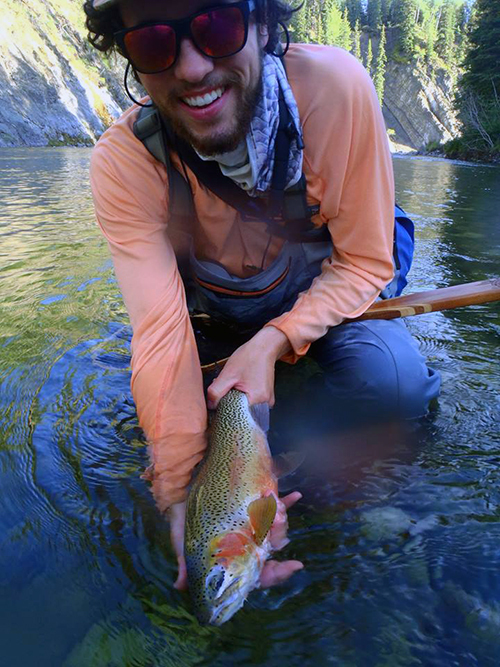 Our guides maneuver you through sweet trout spots which few can access. All guide trips include delicious lunches, any equipment, lessons and exaggerated fish tales. Guiding since 1997. Guiding can be booked through the shop at 403-563-8510 or . 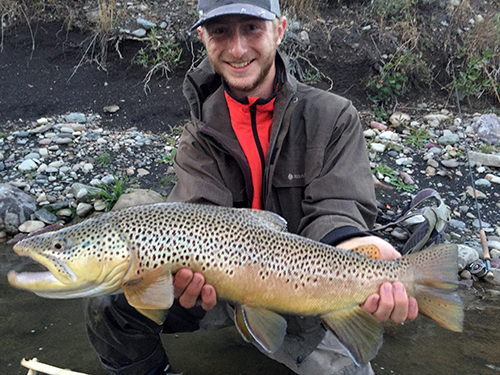 Walk and Wade: The beauty of slow motion through the intricate catch and release headwaters of the Southern Rockies. 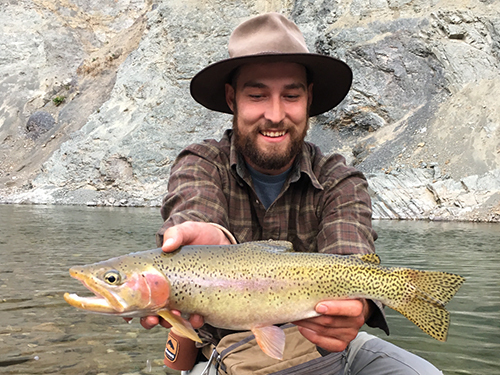 Set high in the scenic spawning grounds, the vast tributaries and rivers surrounding us provide an exciting and diverse fly fishing experience. $550.00($CAD) based on 2 anglers. $100.00 per extra angler. Lessons: Private One on One on the river all equipment 4-5 hrs $250.00 additional anglers $50.00. Suggested max per guide 4. Golden Trout Trips: Are you seeking a full and rewarding day to catch the high lake Golden Trout. A completely different Guided trip awaits. Call for details on our one day or overnight trips. Pike on the Fly: Be prepared for an opportunity to land these ancient species. Aggressive and full of the cold water fight these magnificent fish have a serious bite! Please see Links page for accommodation recommendations, or email, or call us at the shop: 403-563-8510 / .